I’ve already read the first two books in this fun little series, and the second book ended in an intriguing cliffhanger, so I couldn’t resist picking up the third. With a title like The Body Swap, you kinda have some idea what to expect going in. After all, there have been countless body swap stories and movies, so it’s hard not to draw comparisons to some of the classic ones. So how does this one stack up? The first thing I noticed was the book description is written in first person while the other two parts have descriptions written in third. Sure, the books themselves are first-person narrated by the extremely plucky, snarky, likeable Lucy O’Connor, so there’s nothing inherently wrong with the shift. It was just something I noticed. So who’s doing the body swapping and why? Obviously our heroine Lucy is one half of the swap. The other half is brooding Golden House boy Tennyson Wilde, which from a storytelling standpoint is a strong choice since the two of them have a complicated antagonistic relationship. Maybe they can learn something important about each other. However, the singular first-person narration is limiting for a body swap story. Lucy learns some crucial secrets about Tennyson from being inside his body, and those parts are handled well. Though Tennyson learns first-hand what it’s like to be a looked-down-upon poor commoner like Lucy, that lesson is told by him rather than really experienced by the reader. There are many body swap stories out there in all varieties: mother-daughter, father-son, sister-sister, sister-brother, boy-girl. Because there are so many, something is needed to make a new one stand out. The culprit (who I shall not name) who cursed them has valid reasons to do so, but it’s more of an attack on Tennyson than on Lucy. The situation provides them with stakes to accomplish something for the curser. They’re given a deadline to complete the task or the swap becomes permanent. Stakes have been raised like this before, but the author adds a clever twist that they won’t just be stuck in each other’s body; they’re slowly becoming each other. That idea interested me very much. Unfortunately, the urgency of these stakes is offset by the 100-day ticking clock for them to meet the deadline. That seems like too long for this curse, especially given the short length of the book. Too often, several days pass while the characters are trying to solve the task but getting nowhere, making the story drag rather than build suspense. If the deadline were something like two weeks, they’d have to take quicker action and it would feel like more happened in the book. As written, they don’t really seem to take much action at all. There’s another book on the way—The Soul Bond—and it takes place during sophomore year. Figuring four years of high school, this series could have several more entries. Lucy’s a great narrator, and I’m definitely all for reading more of the trouble she finds herself in. Because of this apparent series length, I’m not too concerned of some of the new mysteries introduced in the final quarter of this book, even though they helped to resolve the problem a little too conveniently. I just hope these revelations at the conclusion have long-lasting significance. I felt that the first book, The Truth Spell, had the most unique idea, especially how revealing the truth could be physically painful. The second book, The Tiny Curse, was the best executed in terms of character relationships and suspense. In comparison, The Body Swap, is missing parts that really worked in those books. Still, Lucy’s such a fun narrator that it’s worth a read, even at THREE STARS. 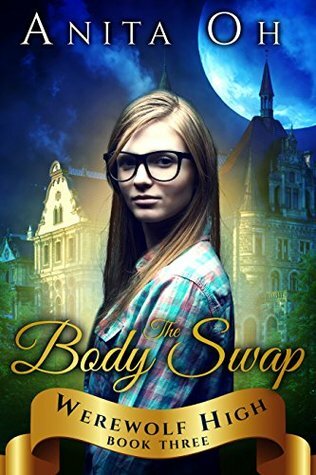 Sign into Goodreads to see if any of your friends have read The Body Swap.